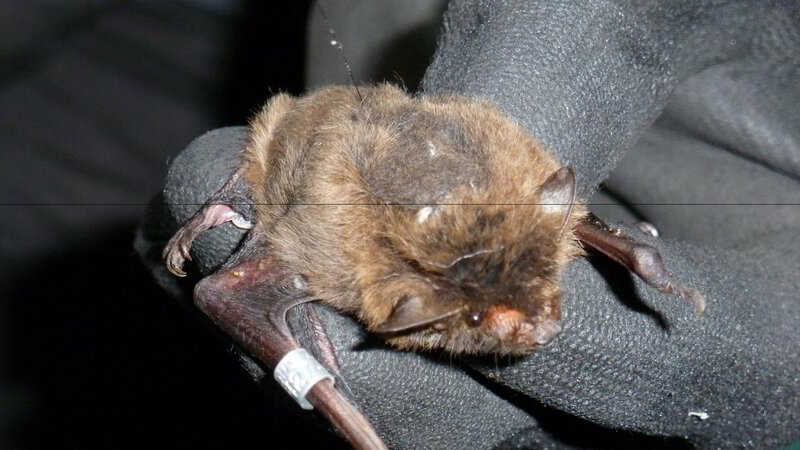 Whilst Common and Soprano Pipistrelles are regularly encountered, Nathusius Pipistrelles are a little more mysterious. A relative newcomer to the UK, only a handful of roost records are known, even less in Wales. These bats are able to migrate huge distances and are a lot larger than the Common and Soprano Pips, and echolocate at a slightly lower frequency. They seem to prefer urban areas with a lot of water and we reliably find them along the River Taff and in Cardiff Bay. 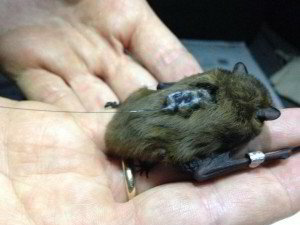 The Nathusius Tracking Project’s main aim was to find roosts of these enigmatic bats. This was done by attaching tiny radiotags onto their backs, releasing them and following them back to their roosts over the course of a week (or until the tag dropped off). This project was funded by Environment Wales. In 2013 and 2014, we found several new roosts and hotspots, and we will be working to understand them more in 2015.